Sawfly larvae also have behaviours differing by species that can give them away, such as feeding on the edge of leaves or producing protective webbing. Some species are particular to one host plant; others lay eggs on multiple host species. 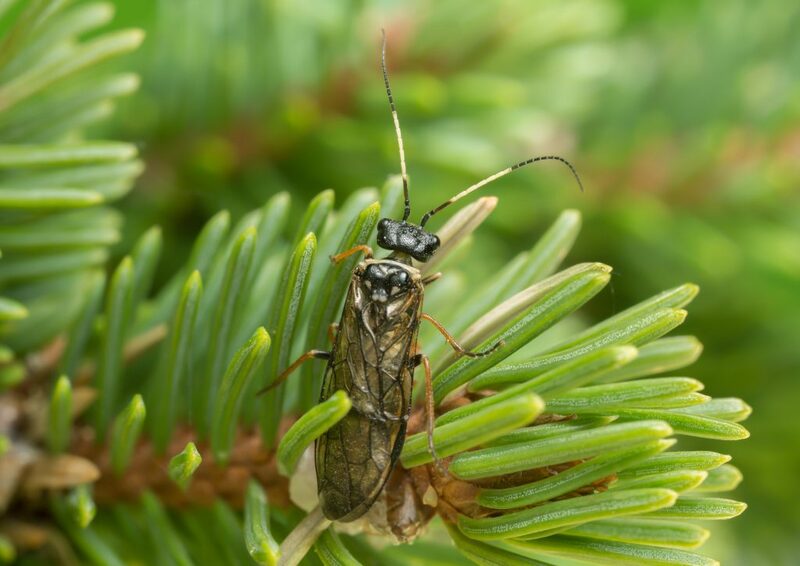 Trees may be defoliated completely by the sawfly, but such heavy infestations are uncommon. Many types of trees are hosts including alder, apple, ash, birch, maple, pear, pine, poplar, spruce, and willow. Smaller plants such as roses and gooseberries may also be severely affected by sawflies. 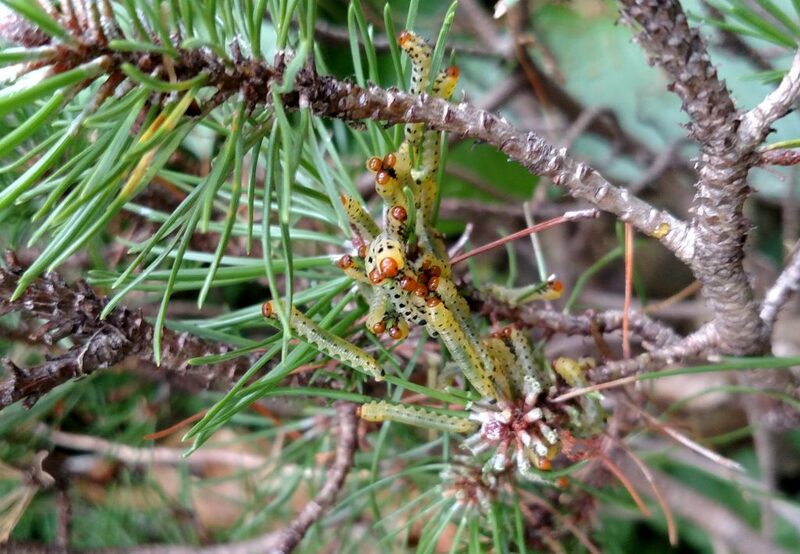 Mature larvae of the redheaded pine sawfly. Feeding occurs in spring and summer, with the majority of sawfly species feeding for two to four months before pupating. The eggs hatch in the spring and the larvae feed on leaves or needles of the host plant. Once they have finished feeding, these larvae head to the ground, where they pupate. Some even construct a silk parachute to reach the ground. Some sawflies will skeletonise leaves rather than totally consuming them, whilst others will feed on fruit, e.g., mining tunnels in apples.